Are you getting confused with WhatsApp payments? Have you been unsuccessful in your attempt to renew your WhatsApp subscription? Do you want to know how to pay for WhatsApp quickly? Here is a guide to pay WhatsApp in few steps. “I haven’t understood anything yet about WhatsApp payment.” Well, you’re not alone. Whether you use an iPhone, an Android, or a Blackberry, sooner or later you have to tackle a thorny problem: cough out the money to renew WhatsApp. Well, fortunately it comes to a small sum, but many doubts cross our minds when we have to make the payment. How much really? How do I make payments? Is there a way to save money? How to do I protect against fraud? Let’s remove all doubts permanently. Here is a guide that explains how to pay for WhatsApp without beeing fooled. Let’s see what are the payment methods, how to use them, and how much really the app really costs. Before moving on to the practical aspect, let’s discover what its costs and what methods of payment exist. Everything else you don’t find in this guide is a scam, or is a method that is not working. 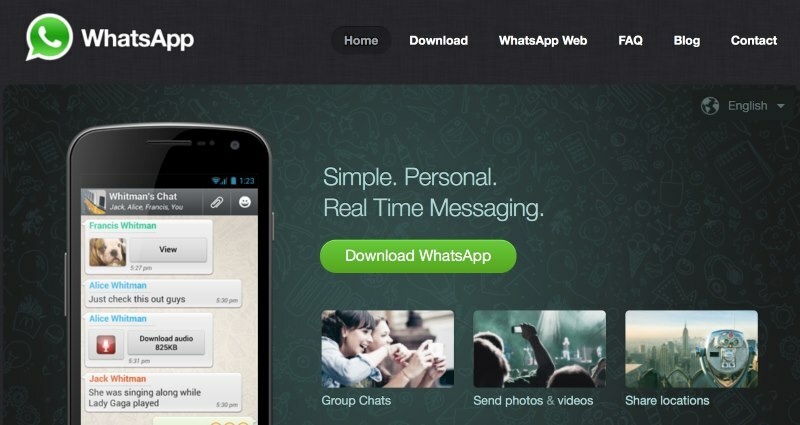 WhatsApp costs 89 cents a year (after the first year free). This is the only cost of the app, which will never ask for money to send messages, pictures , video , etc . If you hear about additional costs, stay away! There is no doubt that it is a fraud. WhatsApp offers two alternative subscriptions that make you save money. The first is the subscription for 3 years, at the price of 2.40 € (with a saving of about 10% ). The second is a subscription for 5 years, at a price of 3.34 € (with a saving of 34% on the subscription price for one year). See also: all the details about the costs of WhatsApp. To use this service, you must have a PayPal account. This is an online method of payment, and it considered one of the safest services to transfer money in the world. You can pay WhatsApp with the credit card or prepaid linked to your Google Play or Apple store account, depending on the type of phone used. This last option will debit your phone credit with the cost of subscription. For many people, it would be easier and more comfortable, but you have to check with your provider as it’s not possible with every telecommunication company. Before paying Whatsapp, it is important to know when your subscription expires. To do this, click on “Account Info” (“Account ” on IOS) and select “payment info”. Then, you will see the expiration date of the service. Proceed to payment by selecting one of the three methods available. Here, you pay for WhatsApp as you do with other purchases on Google Play. If it’s not the first time you have make made a purchase through this platform, you will see the credit/debit card data already uploaded, so just click on “Checkout” to complete your purchase. If it’s the first time you have used this system, Google will ask you to add a credit card or a debit card. Google will store your data and the next time you want to pay, you can do it with a single click, without re-entering data. PayPal is one of the safest ways to pay online. It is an e-wallet that allows you to not give your bank details every time you make a purchase online. If you already have an account, just select this method of payment, enter your details, and the payment will take place smoothly. If you don’t have a PayPal account, just visit the official website to create one and then go on WhatsApp. If you don’t have an account with Google Wallet or PayPal, perhaps the easiest way to pay for Whatsapp is to send the link via e -mail. In this way, we will be able to pay Whatsapp by your computer. To do so, just click on the “Send payment URL” and enter your address email. So, You will receive an email which that shows the steps to make the payment by your computer. P.S. Sometimes, after you make the payment, you must restart the phone to make it active. This option allows you to give a Whatsapp subscription as a gift. For example, it can be very helpful for parents who wantsparents who want to pay for WhatsApp for their children, who usually don’t have a credit card. The first thing you have to do is go into the settings and select “Contacts”. When you select this option, you will see the “Pay for a friend” button. Click this option, and you’ll see the payment screen. Then click on “Select a Friend” and follow the instructions as we have explained above. Currently, this method works only on Android phones, although the recipient can have any other type of phone ( IPhone, BlackBerry, etc.). There is an alternative for iOS users who want to give WhatsApp to a friend. Go to Itunes, find WhatsApp, and tap the arrow for the dropdown menu next to the “Buy” tab. Select “Gift This App” and enter the email recipient’s address. Then confirm your purchase, and that’s it!